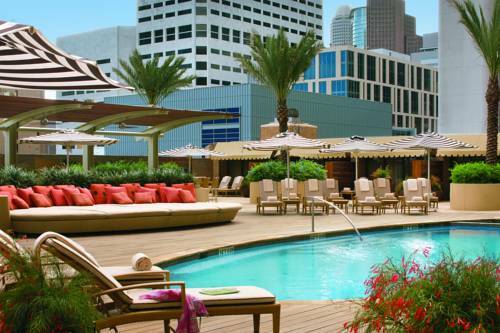 The Four Seasons Hotel Houston is in the heart of downtown Houston Business and Financial districts and only steps from the convention center sports arenas and museums. Complimentary downtown car service is provided subject to availability. In the heart of Houstons business and cultural center at the corner of Lamar and Austin Street. The hotel is connected to a downtown shopping mall via climate controlled skywalk. Complimentary limousine service is available in the downtown area. Located on the third floor of Four Seasons Hotel Vinoteca is the ultimate place to begin your night out on the town.